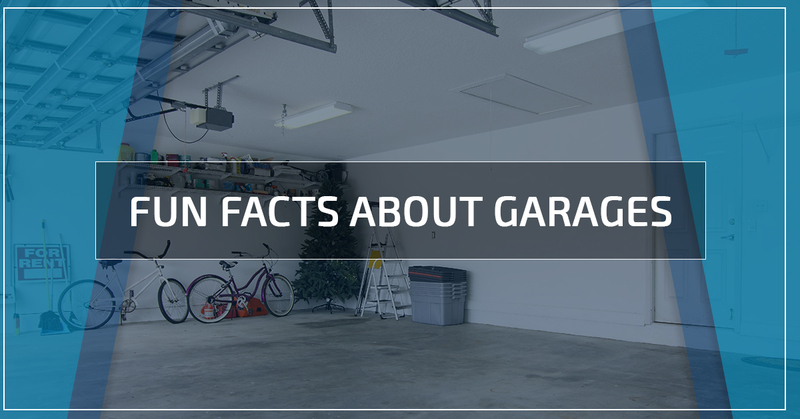 The word garage comes from the French word “garer,” which means “to shelter. ” It makes sense since garages were designed to shelter early automobiles that could not be exposed to the elements. In 1908, Sears and Roebuck created the Portable Garage, which was similar to the detached enclosed garages of today. At this time, any other garage was likely a repurposed carriage shed or horse barn. Portable garages were wildly popular because people could take them with them wherever they moved. The overhead closing garage door that we see today was invented in 1921, by C.G.Johnson, owner of the Overhead Door Company. In 1926, he added a motor to it to make it automatic. It would still be 40 more years before the automated garage door opener became commonplace. In 1941, attached garages with entry doors to the house began to appear. It was about this time that the garage began to be considered as part of the home’s design. Today, 71 percent of people say their garage is the main entry point to their home, not the front door. In 1925, real estate proved people cared about garages. It became a selling point for homes and was difficult to sell a home that didn’t have a garage; the same is true today. In the 1960s, about 60 percent of homes had a garage. Today, about 79 percent of American homes, or roughly 82 million houses, have garages; and nearly 20 percent of those are three car or larger! The garage is the birthplace of rock music — the Beatles, Nirvana, and Metallica all got their start in a garage! 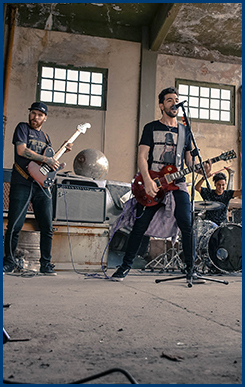 “Garage Rock” is considered a genre of its own, and the sound is commonly replicated in professional recording studios. Garages were the starting place for entrepreneurs who started Amazon, Google, Apple, and Hewlett-Packard. Other multi-billion dollar industries that had their start in garages include Mattel, Disney, and Harley-Davidson. Many other successful businesses share this same backstory. Garages have not always been insulated with the ability to be heated and cooled, but they have kept up with technology’s advancements. Today, you are able to control your garage’s heat, AC, security monitoring, and even open and close the overhead door, all through your smartphone! The garage is more than just that room that is attached to your home. The first garages were built out of necessity over a century ago. If your home does not have a garage or does not have a garage big enough, contact us at Wholesale Direct Carports. We are Virginia’s premier affordable garage distributor, and delivery and installation are always included!